Unfortunately neither of my two entries made the final cut of 33 finalists selected from 5983 entries by the judges. 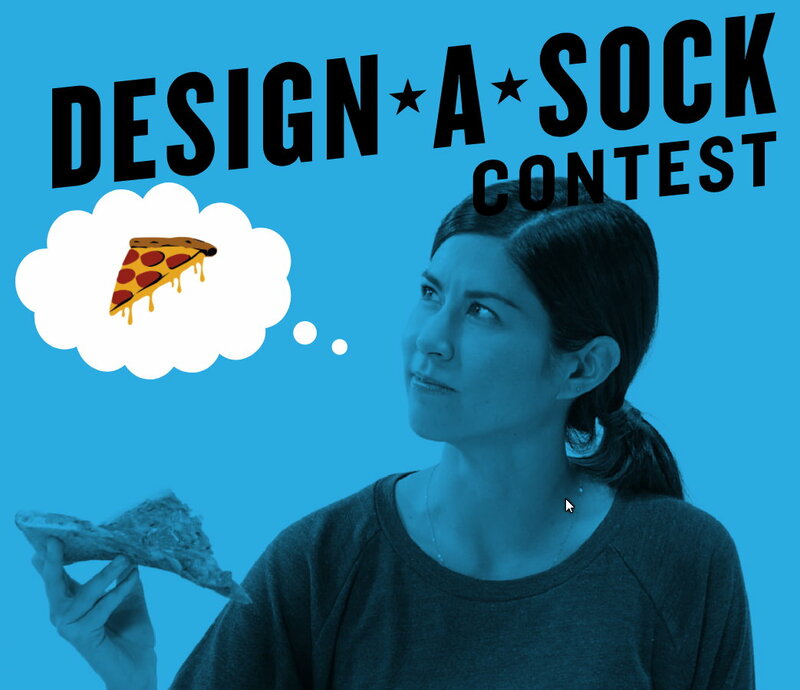 The final 33 entries were open to a public vote, and the final three winners have been announced. You can see their entries below. 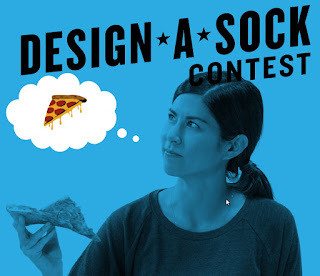 I guess these designs are what the voters want to wear? I'm a little surprised by the winners. To me, the third place design is actually most in keeping with the overall vibe I got from browsing Sock It To Me's sock store. 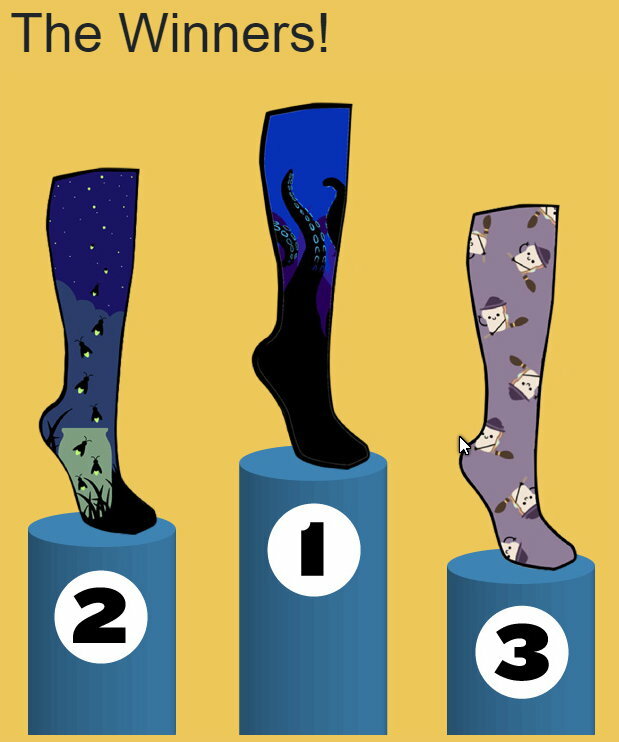 Not that there is anything wrong with the other two designs, there were just others in the final 33 that I thought were a lot more in keeping with the fun novelty of the brand. By now you may be wondering what my entries looked like? (If you haven't already scrolled down to see them). I decided to do a variation of my Crocodile Rock design that I filmed a speed painting of myself drawing onto skateboard grip tape. 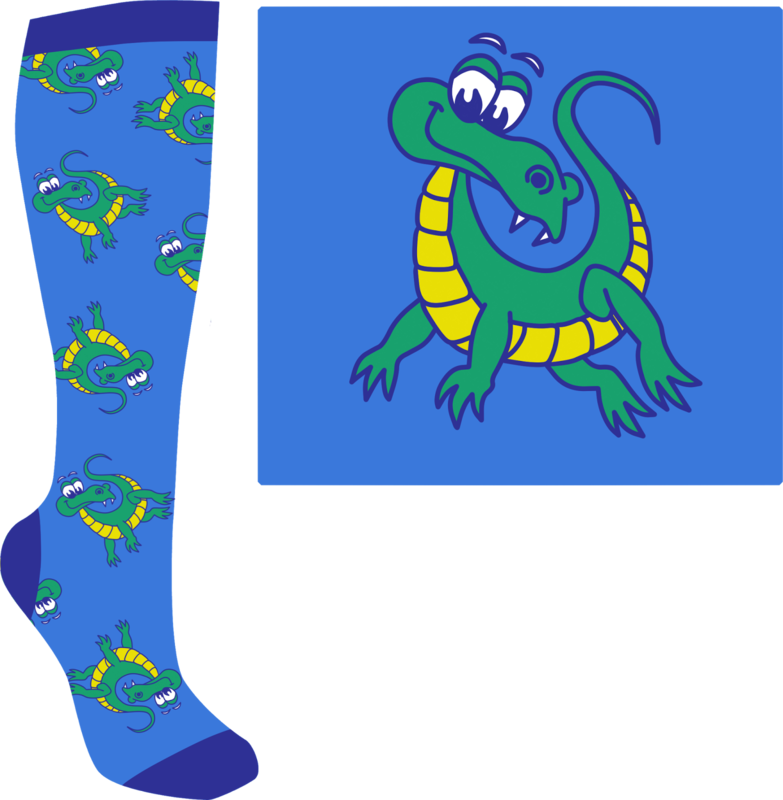 It seemed like a fun choice, and who wouldn't want a pair of crocodile rock socks? 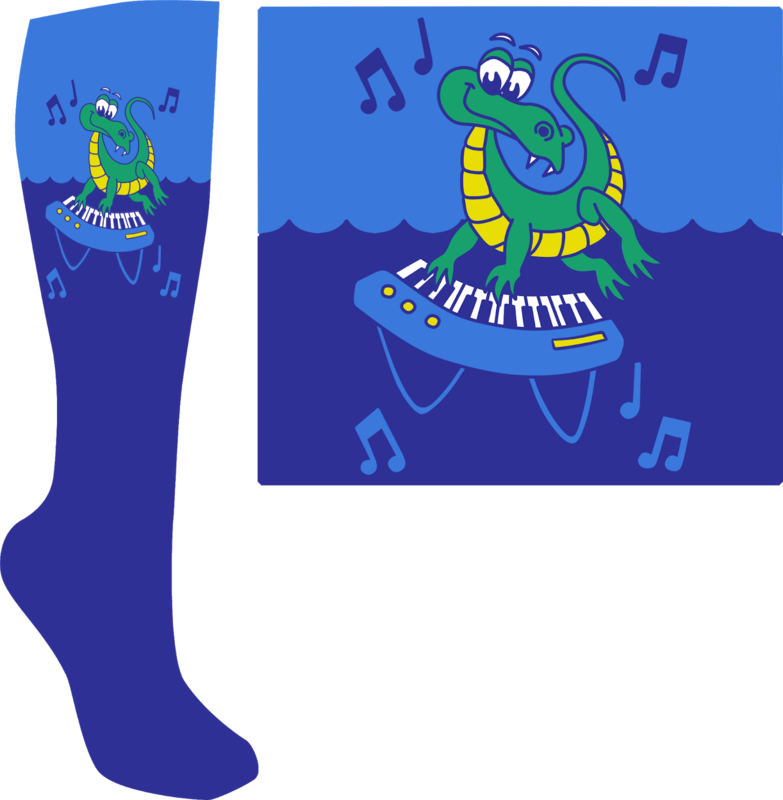 My first entry, Crocodile Rock (Socks). My first design was the full keyboard playing croc in glorious five colors (there was a limit of six flat colors as the designs are woven using each color not printed). I was a little concerned that this design may have been a little too complex for production so I also entered a simpler, crocodile pattern design. I felt sure my second entry would at least be in with a chance as it definitely wasn't as complex as some designs already in the company's range. Based on some of the finalists neither design was too complex, so it pretty much came down to the judges tastes. These designs won't go to waste. I plan to adapt them for my own product range. You'll definitely be seeing both designs in my own online stores in the near future. The third design doesn't seem to have anything to do with crocodiles. Yours are very colourful, sure to draw the eye! The competition was open to any theme, Crocodiles is just what I chose to do. Glad you like my designs though. I was really going for bright and fun.